Dr. Nugent Offers Porcelain Veneers in his Pasadena, Texas dental office. Do you dream about brilliantly white teeth that are perfectly straight? But you don’t want years of orthodontic treatment or invasive procedures? Dr. Nugent can offer porcelain dental veneers to satisfy you cosmetic demands. One of the most exciting and transforming services we offer our patients are porcelain veneers. 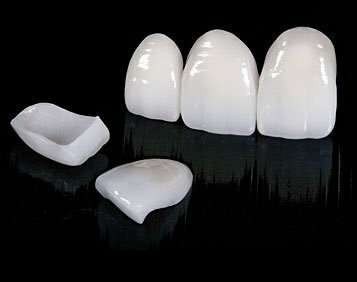 These are very thin porcelain facades that are custom designed and bonded over your teeth. 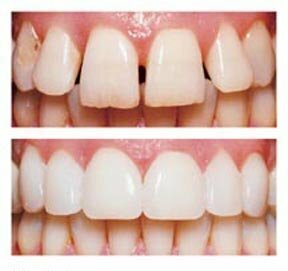 Veneers correct misshapen, discolored or chipped teeth. Dental veneers are durable and extremely cosmetic. Porcelain veneers are an amazing solution to a variety of common dental problems. Dental veneers can be completed in as little as two dental visits. Patients love the natural aesthetics of porcelain veneers . Dental veneers can fix the gaps in between teeth, stained teeth , and misshapen teeth. Learn more about how porcelain veneers can enhance your smile. Call the Pasadena Texas office of Dr. Michael Nugent at 713-941-8261 today for your personalized porcelain veneers consultation.